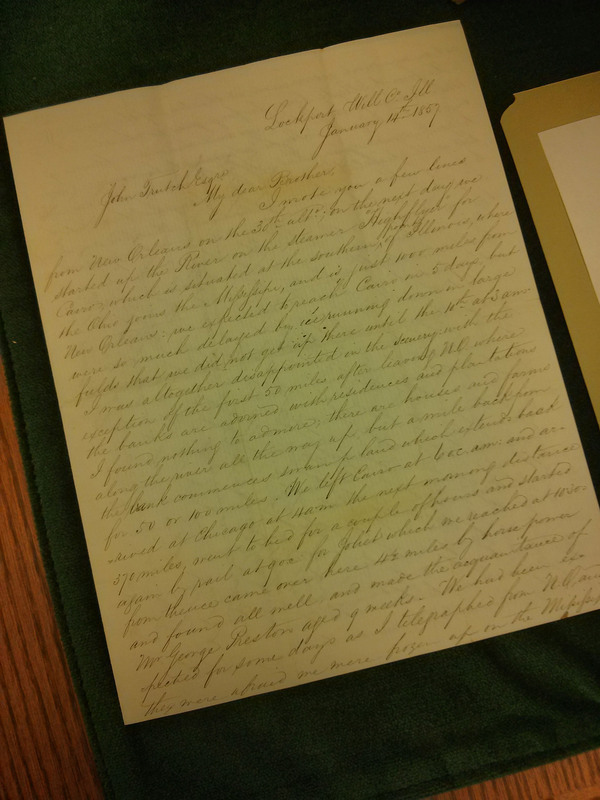 We’ve talked a lot about how we digitize, but have you ever wondered how we decide what we digitize? There are a lot of criteria for a collections digitization – durability, funding and interest are some – but one criteria point for digitization that is less well known is if the collection will help people learn something new. 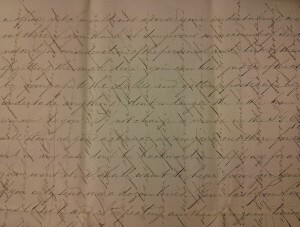 Known as “crossed letters” the second set of letters is written in a style called cross writing or cross-hatching. 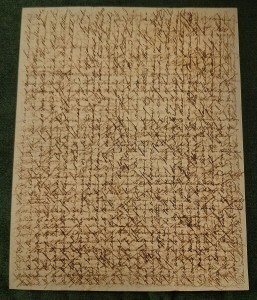 It was once a common practice to have letters that contained two sets of writing written over one another. 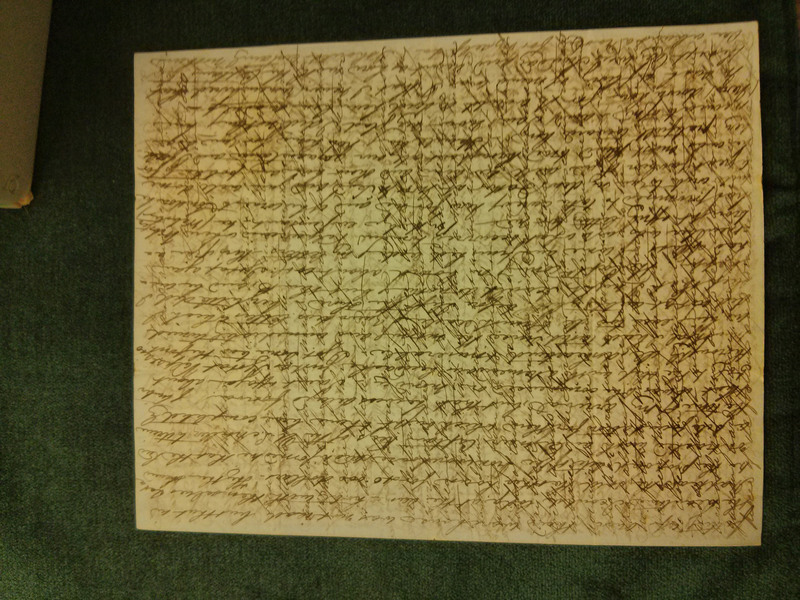 This usually meant the letter writer wrote to the bottom of the page, turned the paper, and kept writing! 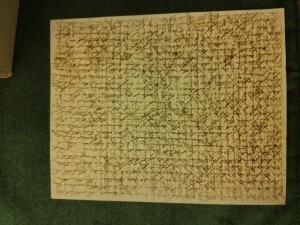 During the early days of the postal system this was done to save money on paper and expensive postage costs. Many postal systems charged by the pages per letter or even the size of the paper. It might be hard to read at first but many find they adapt after a while. Once you become familiar you learn to ignore the other words. Or at least we hope that’s what happens! 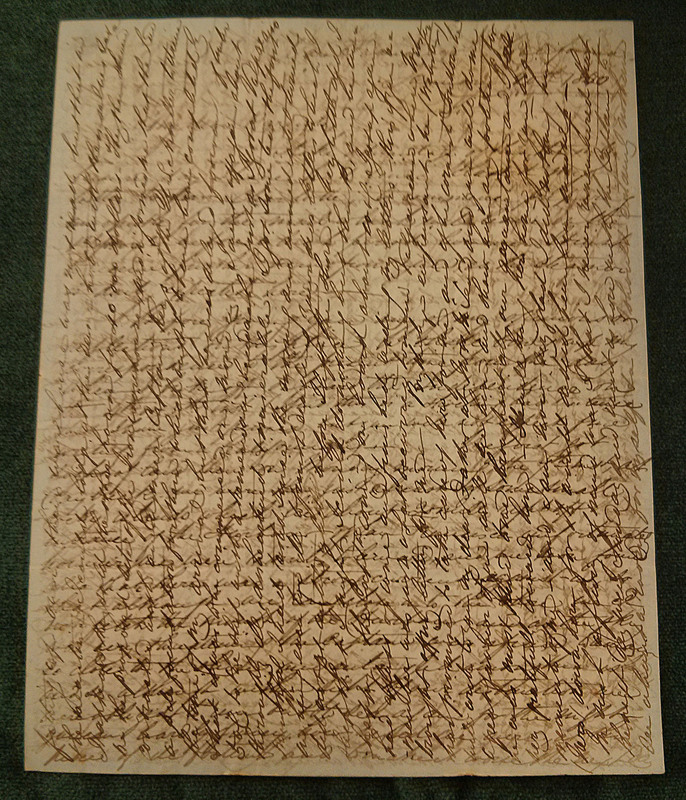 Thankfully a relative of Trutch spent time and energy transcribing many of the letters, something that can be accessed with the collection at RSBC. The letters are also widely known and cited in historical research sources than many things at RSBC. It helps too that most people don’t usually want to squint through the actual letter. The counter argument, for digitization, is Joseph Trutch was a well known historical figure. 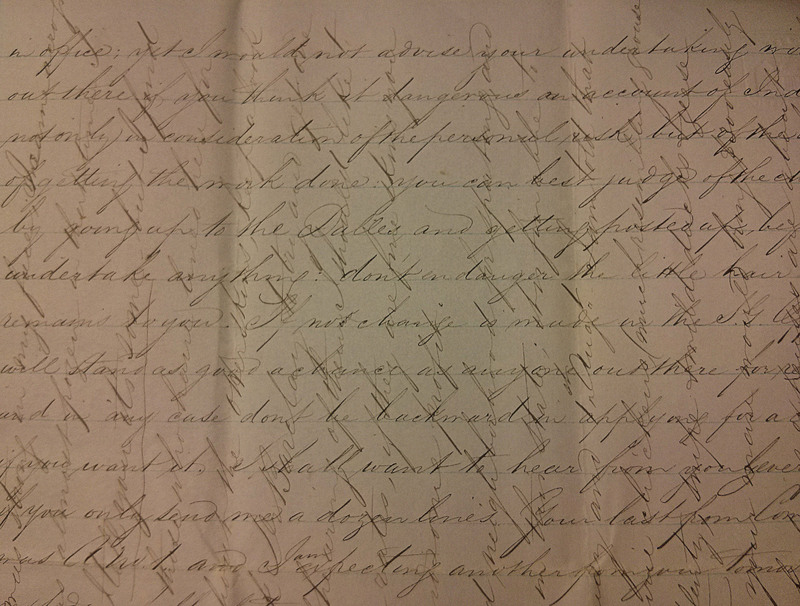 Many more people might enjoy seeing the letters digitally and comparing them side-by-side with the transcription. Keep checking back! You never know, maybe someday you too can go cross-eyed reading cross-hatching.